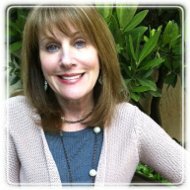 Atlanta Therapist: Susan Blank - Therapist 30328.
will learn new skills to handle distress and build healthier, more nurturing relationships; you will rediscover disowned parts of yourself and gain access to your own direct experience of the world. I believe every individual possesses the wisdom he or she needs, as well as the innate capacity to love, to connect, and to thrive. I work with adults, couples, and adolescents and I am LGBTQ welcoming. I look forward to the opportunity to work with you and I offer a complimentary phone or office consultation so we can learn more about each other and see if we are a good fit. The counseling methods I utilize in my work are researched-based and empirically proven to be highly successful. I have dedicated myself to years of study and training in these methods to gain the expertise and experience necessary to ensure that my client's counseling experience is a rewarding, empowering, and successful one. I have been traveling the long and winding road of marriage for 40 years and I fully understand the pitfalls and detours of committed relationships. With advanced training in Emotionally Focused Therapy, I am dedicated to helping couples find their way back to each other. I will help you stop the dance of blame, distancing, and mutual hurt. We will focus on the negative cycle that has become your mutual enemy and learn to change the music to a new dance of closeness and connection. •The International Centre for Excellence in Emotionally Focused Therapy (ICEEFT).